With an increase in the number of humanitarian crises, the world refugee population is on the rise. According to the UNHCR there are currently 68.5 million people around the world that have been forced out of their homes – 25.4 million of which are refugees – and while humanitarian agencies continue to work to meet pressing needs, there is a critical need to incorporate refugee voices within the response mechanisms. This blog will highlight the importance of recognising refugee agency and implementing a response that pushes for refugees as actors rather than beneficiaries. The current refugee framework was established in the 50s, and while its three traditional solutions – integration, resettlement and return – offer responses, they were not originally created to deal with the present circumstances. The duration of time refugees spend in displacement has significantly increased within the last decade, with protracted forced displacement now lasting an estimated 26 years. This upward trend adds a layer of complexity to the humanitarian response provided as many of those living in refugee camps have been seeking long-term solutions for decades. In the Dabaab refugee camp in Kenya, for example, over 6,000 men, women and children are third generation refugees. The lack of protection and assistance, and the sometimes-inadequate management of such mechanisms, has led to refugees taking a proactive stance through refugee-led initiatives. For some refugees this means moving to urban areas in search of better opportunities – over half of the refugee population worldwide is currently living in places other refugee camps –, and for others it means entering the labour market or education system to provide their families with the resources they once had, which in turn leads to the expansion of local economies, the cultivation of innovation and the creation of strong communities. Acknowledging refugees’ agency is the first step in offering a comprehensive approach. Following the adoption of the New York Declaration in 2016, the United Nations introduced the Comprehensive Refugee Response Framework (CRRF), in a bid to provide an all-inclusive response. Under this umbrella, several projects have successfully integrated refugee voices within their implementation mechanisms. Uganda was the first country to adopt CRRF by implementing a program that allowed refugee nurses and teachers to join the labour force; understanding that refugees leave home but do not leave their skills and knowledge behind is key in the creation of policies and practices that see refugees’ potential as contributors to society. In the case of the Rohingya, they have been fleeing to Bangladesh since the 70s, though the mass exodus that has taken place within the last year is completely unprecedented. 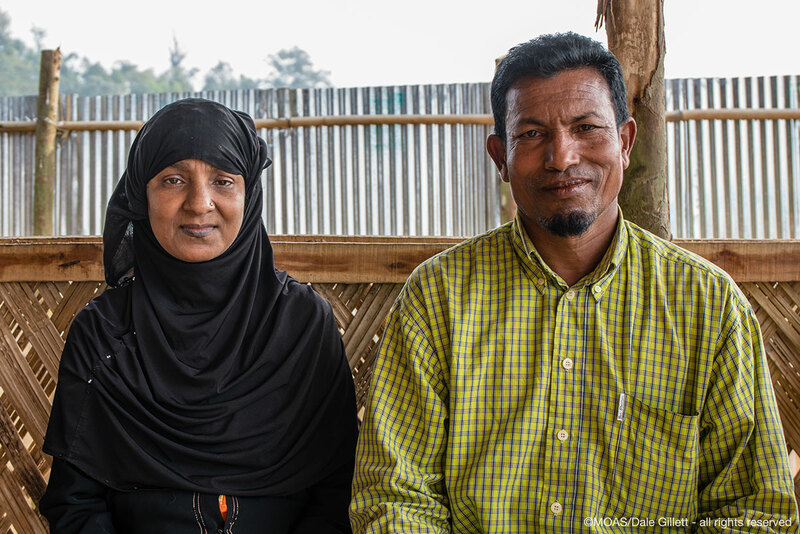 Over 900,000 men, women and children are currently living in Bangladesh, and even though the humanitarian response offering aid is crucial, there is a need to push it further by assisting refugees in becoming their own actors of change in the search for long-term sustainable solutions. On a practical level, a comprehensive and integrative response is one that goes beyond the basic needs and provides a multi-stakeholder approach. Integrating the Rohingya community’s worries and perspectives into the humanitarian programming ensures that their needs, desires and aspirations are in line with the proposed assistance. While the Rohingya community is in dire need of food, shelter and medical assistance, their worries go beyond that. Are they ever going to be able to go back home? Will their children become a lost generation? For example, three in four Rohingya children are being denied their right to education and those that do have access to it through NGO or refugee-run camp-based centres do not know if they will be allowed back into the system when they return. According to the UNHCR, participatory approaches that include refugee voices at the core of their programming should fulfil certain criteria: they should be rights-based, sensitive to age, gender and diversity, they should focus on the participation of refugees, they should take a community-based approach, as well as in-built-accountability mechanisms, and they should be replicated and implemented beyond its original context. Finland, for example, was recently praised for its inclusion of refugees in the “co-creation” policy design at the national level. By including them in the policy creation, they have tried to develop policies that respond to the needs of refugees and their individual circumstances. Another example of good practice is the Network for Refugee Voices (NRV), which is currently working on ensuring refugee self-representation becomes a reality in international media. Within front-line humanitarian organisations examples of good practice include hiring local refugees as team members as often as possible. This is particularly significant in protracted refugee situations, and something that MOAS has put to practice in both Aid Stations in Bangladesh. Humanitarian responses should take a multi-dimensional approach by integrating local NGOs, civil society, the private sector and, most importantly, refugees. In the case of Rogingya refugees, resilience and protection should work hand in hand in creating a response that aims to not only fulfil basic needs but to ensure refugees thrive by ensuring they become real actors in the process rather than beneficiaries. You can support MOAS’ work in Bangladesh to support Rohingya refugees by donating here, or fundraise with friends to become a part of our activist community. You can also receive regular updates by signing up to our newsletter at the bottom of this page or following us on social media.